The Place that makes them great. There are four principle growing regions in Washington and Oregon. 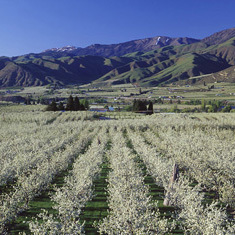 Washington pear orchard in bloom.